Canada is having its moment – both the New York Times and The Guardian as well as Lonely Planet put Canada on their Hot Destinations List for 2017, and this time it aren’t booming cities like Vancouver or Toronto that are in the spotlight – the attention is focused on the countries natural beauty. Canada is celebrating 150 years of its confederation this year and celebrates it with a spectacular gift to its visitors: FREE admission to all of its National Parks, marine-conservation sites and historic monuments. That’s right, you can visit as many National Parks as you’d like and not pay a dime for it! 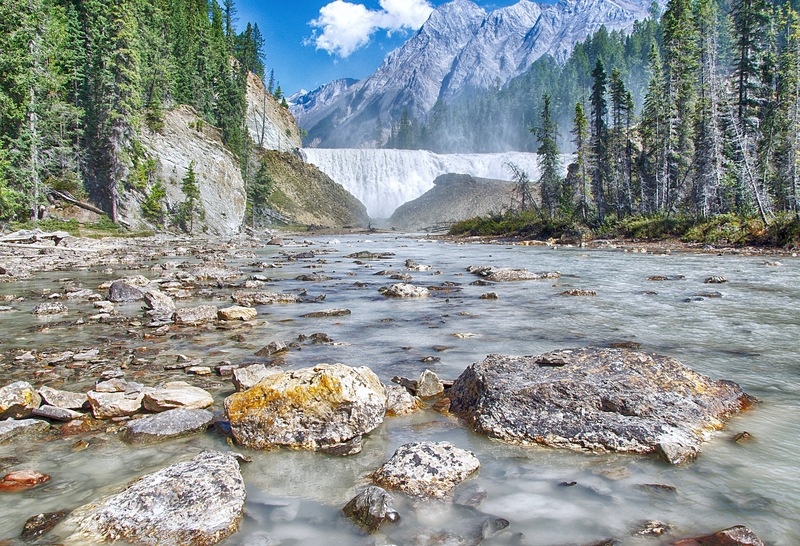 But deciding which of the 44 National Parks to visit can be daunting, because this being Canada, of course all of them are breathtakingly beautiful and worth a visit. 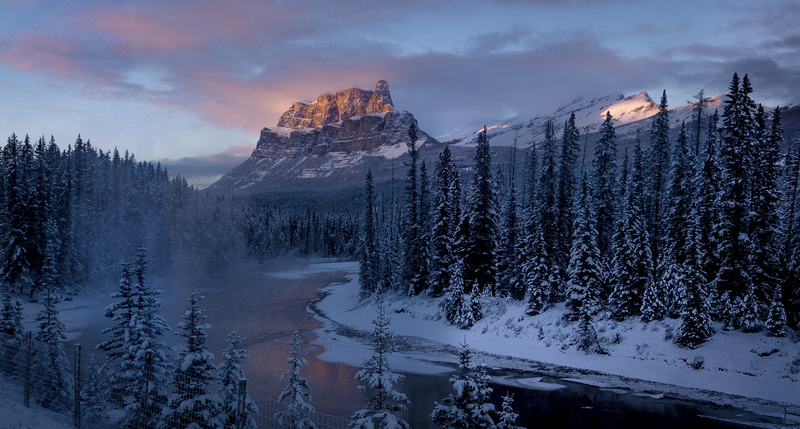 Banff National Park is not only the country’s first National Park (established in 1885), but also Canada’s most popular one. 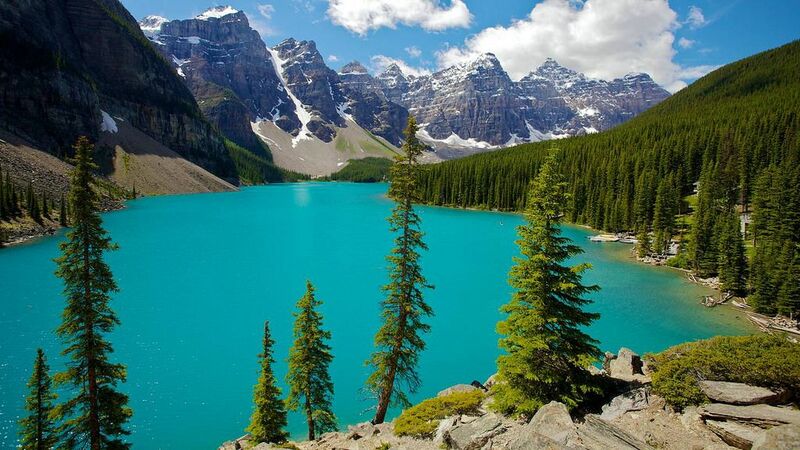 And that’s for very good reason – think turquoise lakes, rugged snow-covered mountain peaks, wildlife and plenty of hiking trails through the Rocky Mountains – Banff has it all! Not to be missed: Lake Louise, the picture-perfect glacier lake that appears on most of Banff’s postcards, can’t be missed, but Lake Minnewanka offers jaw-dropping vistas and Lake Moraine is often named one of the most beautiful lakes in the world. Best hike: The Legacy Trail, a 16-mile trail that runs along Trans-Canada 1 and has stunning views along the entire path, plus a high chance of wildlife spottings from the wildlife fence at the park’s East Gate (to Bow Valley Parkway). Check out the full list of day hikes in Banff here. Because Banff is so popular, it can get packed during the summer months, but if you go on day hikes in the park, it’s still possible to escape the crowds. If you want to visit the park during less busy times, avoid going between June and August. Jasper National Park is just north of Banff, which makes it easy to combine those two. The drive that spans the two parks, Icefield Parkway, is often named as the most scenic drive in all of North America, making the journey worth it already. 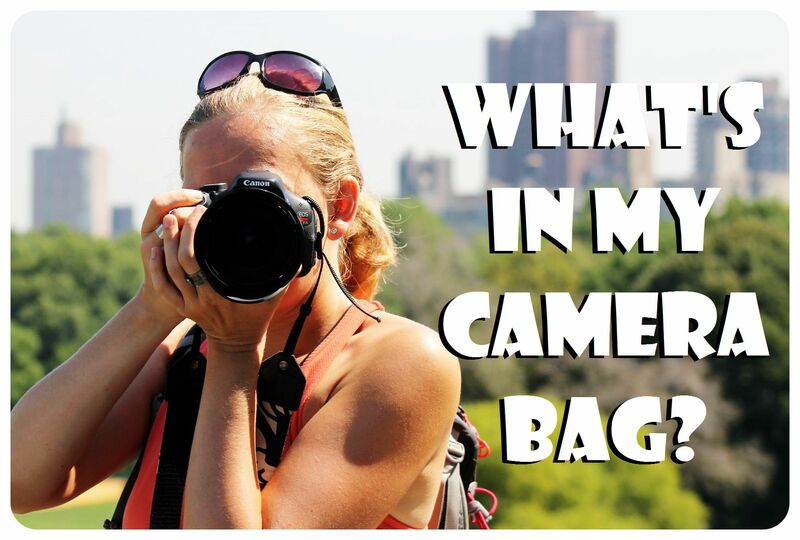 Other reasons to visit Jasper National Park? Turquoise glacier lakes, wildlife (including elk, caribou, bears and bighorn sheep), backcountry and mountain trails, glaciers forests and alpine meadows. 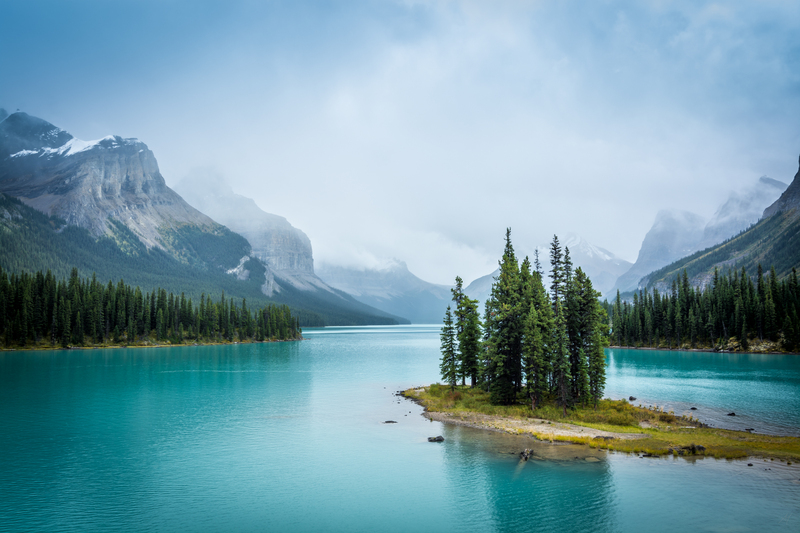 Maligne Lake is the show stopper among the lakes in Jasper, with three glaciers visible from the lake – make sure to bring a kayak and get on the lake! 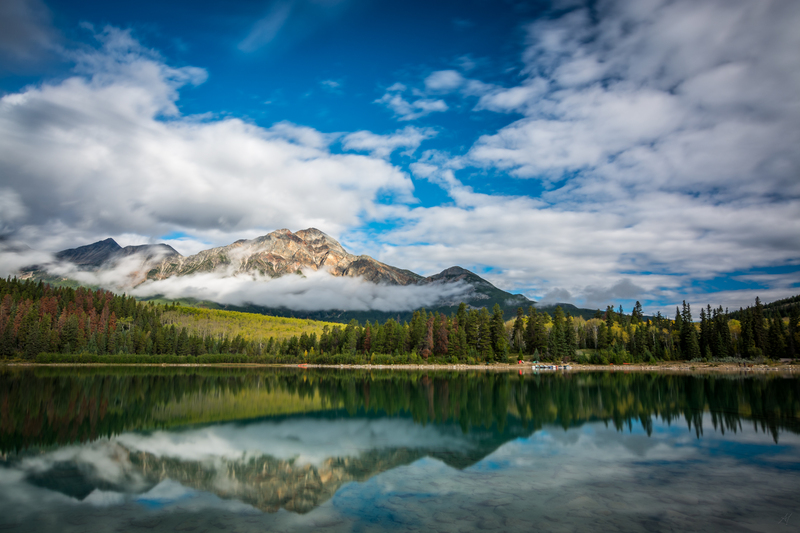 Not to be missed: The scenic Lake Maligne drive which starts in Jasper and ends at the lake. If you are a star gazing, go in October, when the Dark Sky Festival takes place in Jasper. The park is recognized as a Dark Sky Preserve by the Royal Astronomical Society of Canada, and the lack of light pollution in October makes it the perfect time to come and star gaze. That said: the stars you see here are amazing year round, so make sure to check out the night sky. Best hike: The Skyline Trail, a 42-kilometer backcountry trail that starts at Maligne Lake and takes 2 to 3 days to hike. 3 Prince Edward Island National Park, P.E.I. Prince Edward Island National Park, named after the island it is located on, sits on the far eastern end of Canada, stretching along the Atlantic Coast. P.E.I. is located east of New Brunswick and north of Nova Scotia, in the Gul of Saint Lawrence. The National Park consists of forests, salt marshes, coastline, sand dunes and the red sandstone cliffs the park is famous for. It is perfect for kayaking, bird-watching, hiking, kite flying and cycling and in the winter you can snow shoe or ski. If you aren’t into hiking but want to see as much as possible of the park, take the Gulf Shore Parkway West on the Cavendish waterfront, a drivable scenic route. Not to be missed: Cavendish, a small community with red sandstone cliffs and wide sandy beaches, which was the inspiration for the literary blockbuster Anne of Green Gables by L.M. Montgomery. If you love the book, Green Gables Shore can’t be missed! 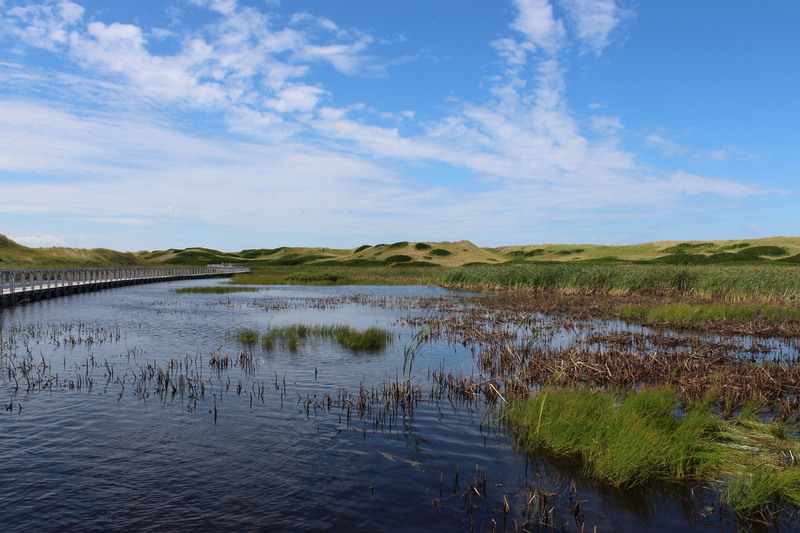 Best hike: The Cavendish Dunelands Trail, which offers great views over the sand dunes and several freshwater ponds. If the 4.6 km round-trip hike is too short for you – the trail has links to the Homestead Trail (along the shores of New London Bay) and the Gulf Shore Way (along the top of the red sandstone cliffs with superb views of the Gulf of St. Lawrence). Gros Morne National Park on the west coast of Newfoundland is a UNESCO World Heritage Site and one of Canada’s most stunning parks. Ancient fjords, imposing sheer-walled gorges, lush forests, barren cliffs and vast lowlands – the scenery here often reminds of Iceland’s otherworldly, breathtaking landscapes. The chances of moose spottings are high here, considering that over 5,000 moose live in Gros Morne, and the vastness of the park often makes you feel as if you were the only ones on the coastal pathways, or on the water – Kayaking through the mighty Western Brook Pond or Trout River Pond is a once-in-a-lifetime experience that you’ll never forget. Not to be missed: Tablelands, a desert-like area made of ultramafic rock, which is usually found inside the Earth and not on top of it, making it look like you are driving on another planet without much vegetation other than a bit of grass. Best hike: The Long Range Mountains offer six backcountry hiking trails, all of which are considered the best backpacking trails on the East Coast of Canada. They are physically challenging and strenuous, and unmarked, hence only recommended for experienced hikers who know how to use compasses, GPS devices and maps. A great day hike for less experienced hikers is the 14 kilometer round-trip Trout River Pond Trail which leads you to a picturesque part of the Tablelands, following the north side of Trout River Pond. If seeing polar bears is on your bucket list, then Wapusk National Park is the National Park for you! And there’s more than polar bears: Wapusk is also home to arctic foxes, wolves and caribou (wild reindeer). The subarctic National Park is very remote and it is quite an undertaking to get there, but that makes it only more special. The closest town is Churchill, which can only be accessed by plane, or by the twice-a-week train from Winnipeg (takes two nights or sometimes longer, depending on weather conditions). The park itself is made up of tundra, subarctic forest and muske and borders Hudson Bay (sometimes referred to as Arctic Ocean). 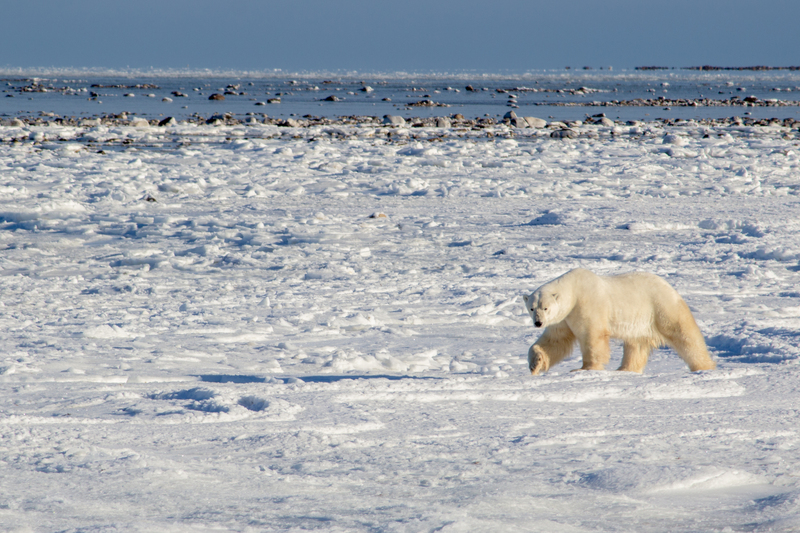 Cape Churchill is known to be the best location in the world to view and photograph wild polar bears, which is why the park is popular with wildlife photographers. 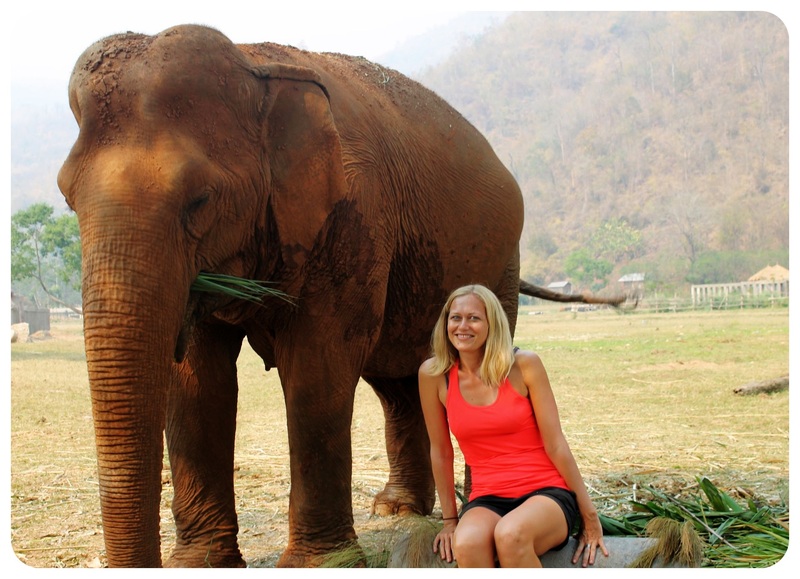 Since there are no roads you have to join a guided tour – check out the park’s website for detailed information on tours. Not to be missed: Try to time your visit so that you get to see fluffy little polar bear cubs! The best time to see them is in February / March. If you come to Wapusk in late October / early November, you won’t see cubs, but about 1,000 polars gather around Hudson Bay, awaiting the freeze-up of the sea. Best hike: Unescorted visitors are not permitted in the park, so no epic hikes here. During polar bear ‘high season’, guides who lead tours in the park carry firearms in case a polar bear attacks. During the summer months, you can access the park via helicopter for guided tundra hikes. 6 Yoho National Park, Field, B.C. 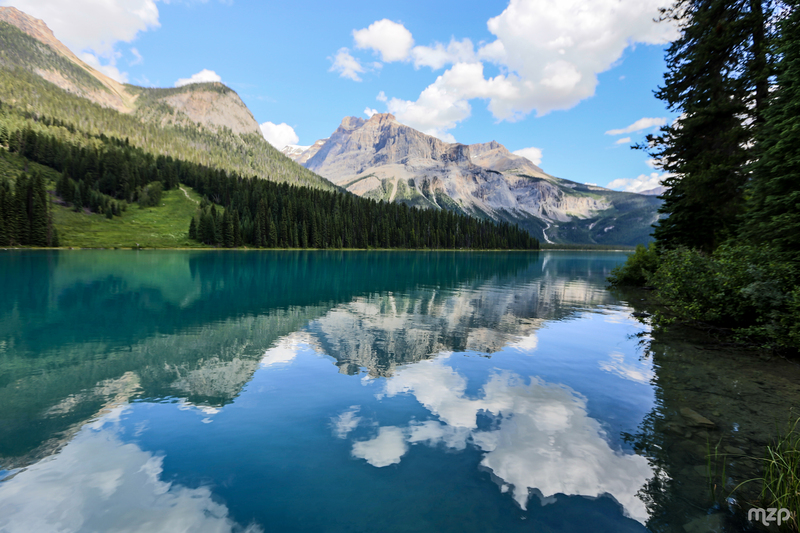 Yoho National Park in British Colombia is another one of Canada’s picture-perfect Rocky Mountains parks, with rugged mountains, soaring waterfalls, magnificent glaciers, sheer cliffs, scenic lakes, turquoise rivers and lush green forests. The name for the park is an expression of awe and wonder in the Cree language – an aptly chosen name. Not to be missed: Emerald Lake with its stunning glacier and mountain views, and Takakkaw Falls, filled with glacial meltwater in the summer, plunging 1,250 feet to the bottom of the Yoho Valley. Best hike: The 2-day Iceline-Whaleback-Twin Falls backpacking trail is rated one of the best five day hikes in the Rocky Mountains. You’ll pass Takakkaw Falls, multiple glaciers, Celeste Lake and Twin Falls. The exchange rate is in your favor this year – 1 US Dollar buys you 1.33 Canadian Dollars, and 1 Euro buys you even more – 1.42 Canadian Dollars! It’s the perfect time to visit Canada. Note: In 2016, Canada introduced eTA, electronic travel authorization, which is now required for citizens of all countries (including the U.S.) to enter Canada (unless you are from a country that requires a visa to visit Canada). The eTA is valid for five years. You have to apply for a Canada eTA online prior to your trip, but it only takes a few minutes to fill out the application. 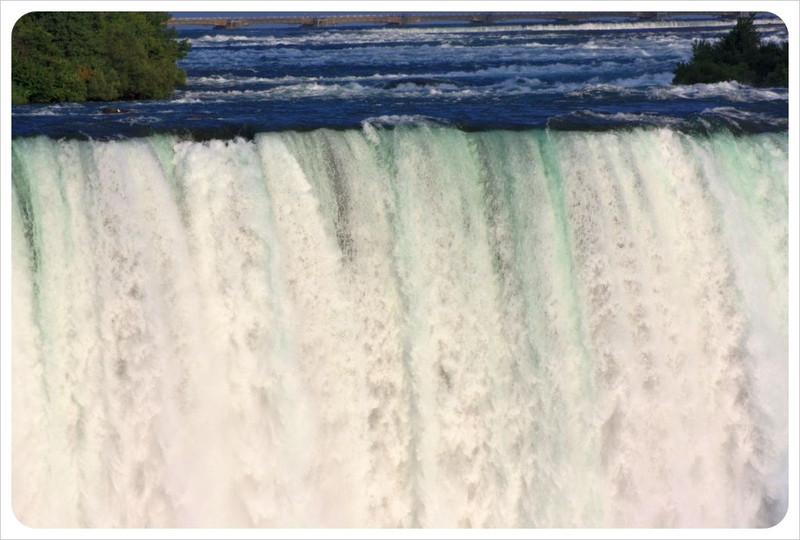 To find cheap flights to Canada, I recommend GoogleFlights, especially their fare calendar which shows you on what dates you can get the cheapest flights. Photo credit: All images used under Flickr’s Creative Commons License. Title image: Banff National Park by Geos453 FinalAssignment; (1) Patricia Lake by Siuyant; (2) Castle Mountain by Gord McKenna; (3) Maligne Lake by Siuyant; (4) Bowley Pond, PEI, by Christine Riggle; (5) 10 Mile Pond by mrbanjo1138; (6) Wild Polar Bears by Alex Berger; (7) Wapita Falls by Terry Lawson; (8) Emerald Lake by mzagerp.